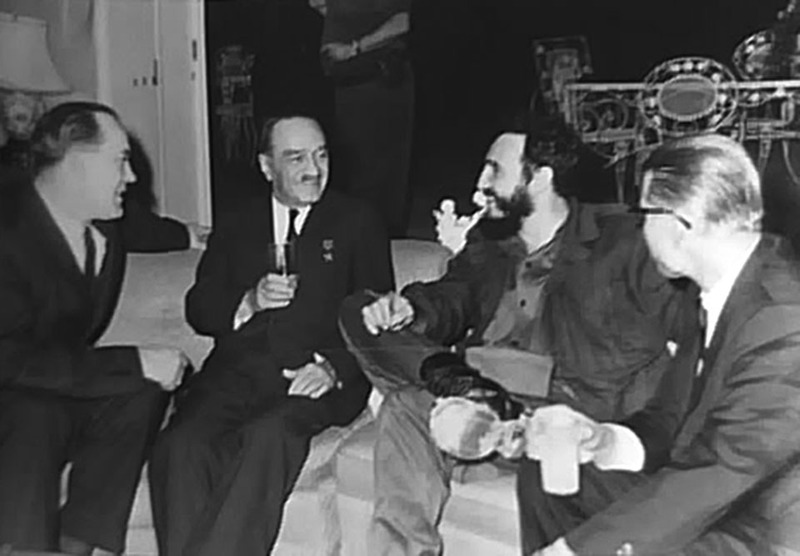 First day in Havana, young Sergo Mikoyan is in the center of the photo. "New Sources on the Role of Soviet Submarines in the Cuban Missile Crisis." Svetlana V. Savranskaya, Journal of Strategic Studies, Vol. 28, Issue 2, 2005, pp. 233-259. 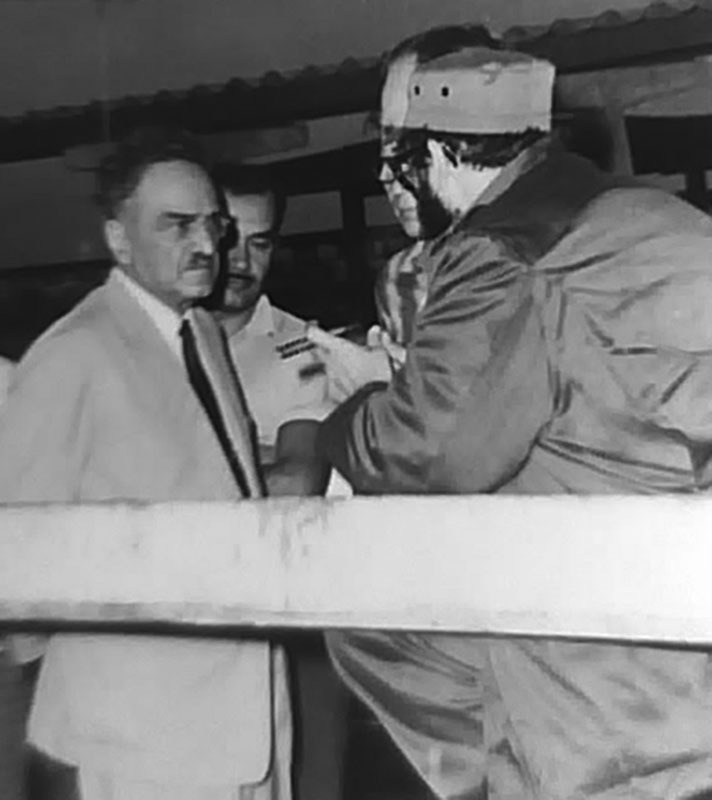 In one of Mikoyan's most eloquent moments during the Cuban trip, he addresses the officers of the Pliev group of forces to explain the decisions of the Soviet government. This is one of the first Soviet efforts to spin the results of the Cuban Missile Crisis to make it look as if Khrushchev has envisioned it to turn out just exactly as it did, that the main goal-the defense of the Cuban revolution-has been achieved. Mikoyan assures them that their task has been carried out brilliantly and that the correlation of forces in the world is changing in the Soviets' favor. In this speech, however, there is some real criticism of the way the Soviet military carried out Operation Anadyr. Mikoyan takes a stab at the rocket forces decision makers (Marshall Biryuzov), describing how the Americans discovered the missiles: "they flew the U-2 and discovered that our missiles were sticking up just like they were at a military parade in Red Square. Only in Red Square they would be placed horizontally, and here they were deployed vertically. Apparently, our rocket forces decided to make an offensive gesture to the Americans." 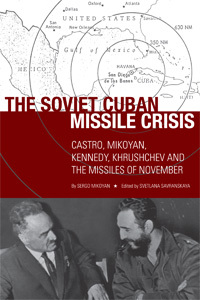 Sergo Mikoyan, historian and editor of the Soviet academic journal Latin America and son of the former deputy prime minister Anastas Mikoyan, presents his findings on Cuban-Soviet relations at the historic 2002 Havana conference on the 40th anniversary of the Cuban Missile Crisis. 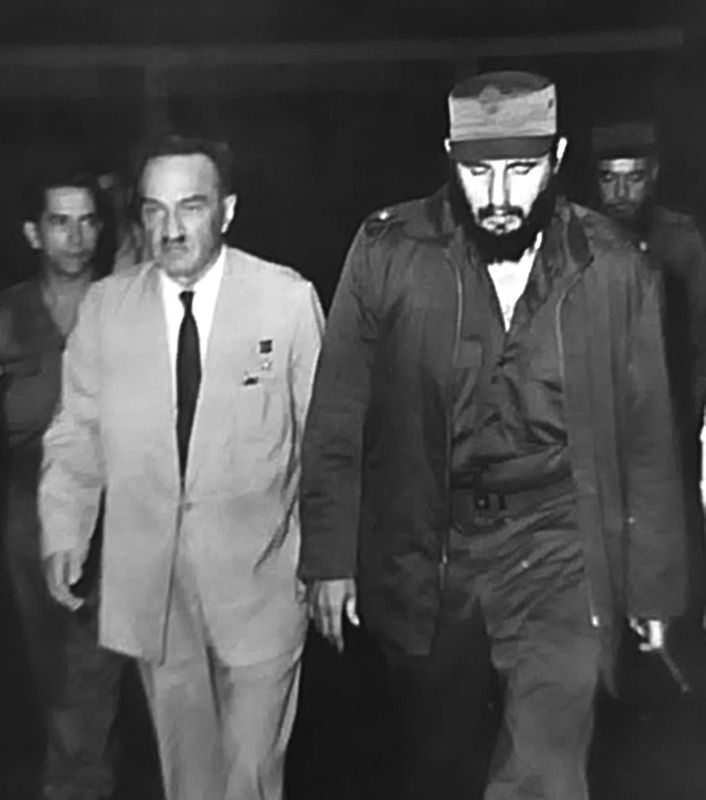 Interview with Sergo Mikoyan by Sherry Jones, "Cuban Missile Crisis: What the World Didn't Know," produced by Sherry Jones for Peter Jennings Reporting, ABC News (Washington Media Associates, 1992). Interview with Alexei Adzhubei & Rada Khrushcheva by Sherry Jones, "Cuban Missile Crisis: What the World Didn't Know," produced by Sherry Jones for Peter Jennings Reporting, ABC News (Washington Media Associates, 1992). Interview with Alexander Alekseyev by Sherry Jones, "Cuban Missile Crisis: What the World Didn't Know," produced by Sherry Jones for Peter Jennings Reporting, ABC News (Washington Media Associates, 1992). 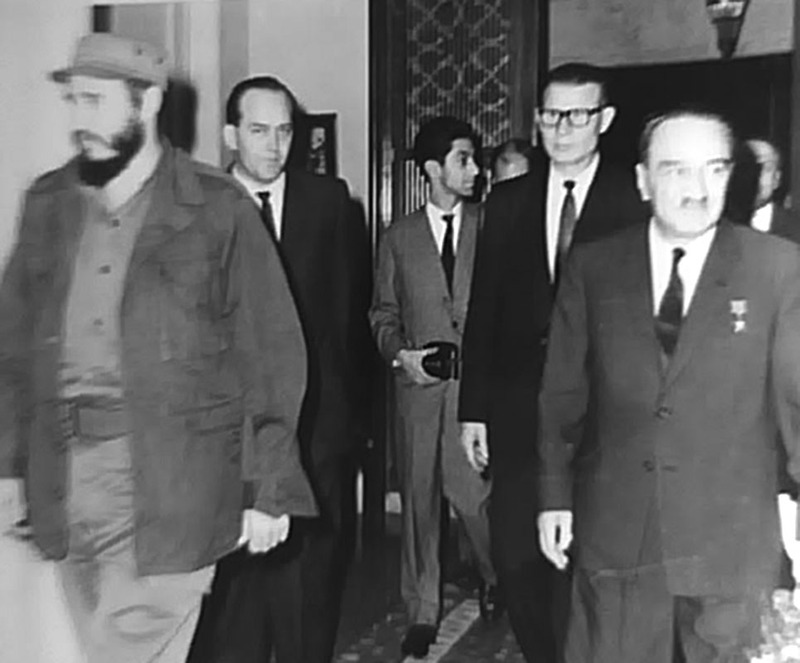 Interview with Ambassador Anatoly Dobrynin by Sherry Jones, "Cuban Missile Crisis: What the World Didn't Know," produced by Sherry Jones for Peter Jennings Reporting, ABC News (Washington Media Associates, 1992). Interview with General Leonid Garbuz by Sherry Jones, "Cuban Missile Crisis: What the World Didn't Know," produced by Sherry Jones for Peter Jennings Reporting, ABC News (Washington Media Associates, 1992). Interview with Lieutenant General Mikhail Titov by Sherry Jones, "Cuban Missile Crisis: What the World Didn't Know," produced by Sherry Jones for Peter Jennings Reporting, ABC News (Washington Media Associates, 1992). Interview with Oleg Troyanovsky by Sherry Jones, "Cuban Missile Crisis: What the World Didn't Know," produced by Sherry Jones for Peter Jennings Reporting, ABC News (Washington Media Associates, 1992).